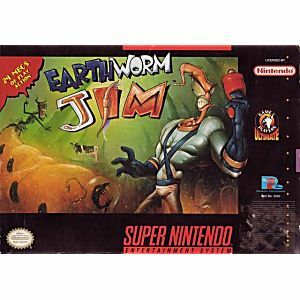 Earthworm Jim SNES Super Nintendo Game Cartridge Cleaned Tested and Guaranteed to Work! This is definitely a must have for any SNES collection. This game is challenging but the fun controls and awesome graphics make it very enjoyable. Highly recommend this game. Would like to first start off by saying how much I love Luke Games. I have ordered from here multiple times and every order is received on time and in impeccable condition. This game is a childhood favorite, with wack characters and hilarious level. It played great! 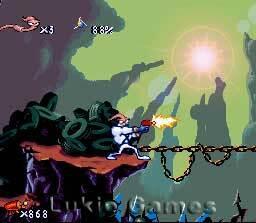 Earthworm Jim is a great platformer and I fell in love with it right away! Cart was in perfect condition. Very fun game. I have been buying all the old SNES Games I played as a kid. 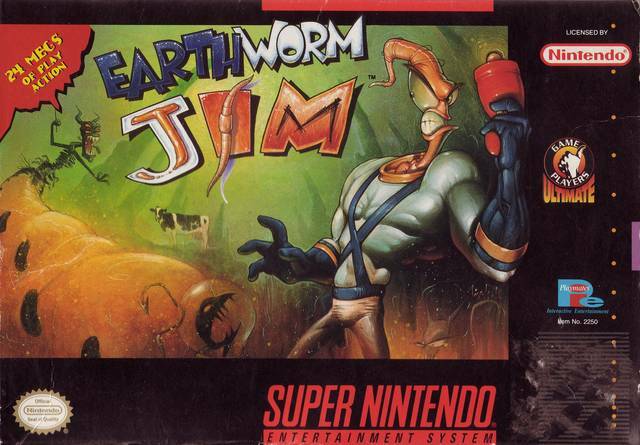 Earthworm Jim was one of the first on my list. This game is fun, goofy, and hilarious. I only beat it as a kid with help for a friend this time I will do it myself. Game came and was in perfect condition. New memories for memory lane. Great game, works perfectly. Love Lukie Games! Loved this game! Watched the show as a kid and picked up the game not to long after! Happy to see this game is still around! Love playing it even in my adult years! Good game to quickly pick up and play. Remember to turn on the cartoon while you play for some awesome background noise! This is a great platformer that constantly changes with each level. In one level you're running through hell, fighting an evil cat, the next you're underground navigating an underwater maze. It also has a great sense of humor, never taking itself to seriously. It's fun, funny and challenging in its later levels. this game was a hilarious game to play and is great for kids. 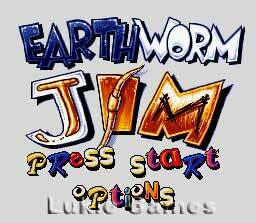 earth worm jim is awesome. i've had it since it came out and i still play it. the game never gets old.